For her 34th birthday, Homer presents Marge with a bowling ball with his name engraved on it and drilled to fit his fingers. 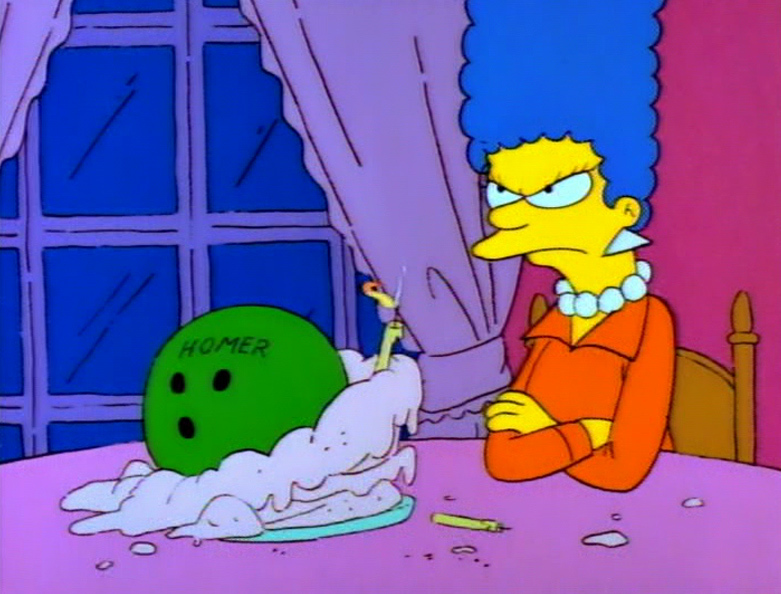 Feeling unloved and uncared for, Marge takes up bowling so that Homer cannot use her gift. 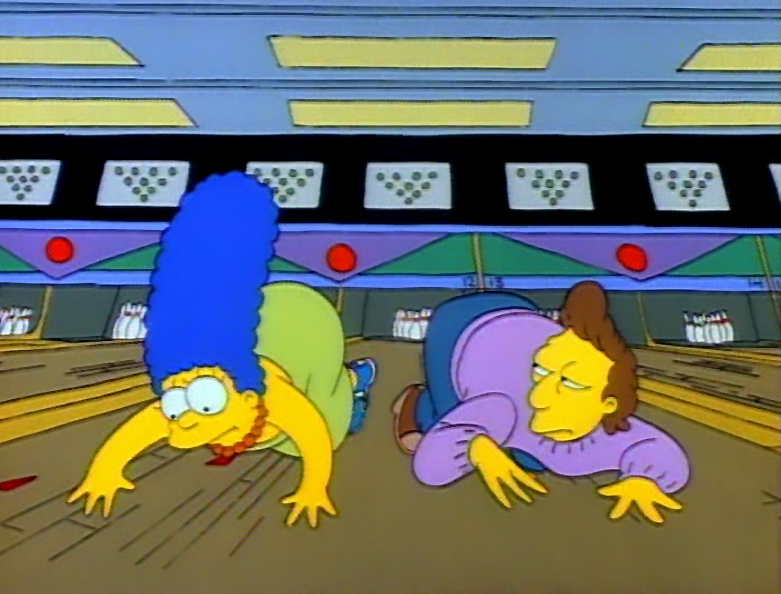 At Barney's Bowl-A-Rama, Marge takes lessons from the local pro and womanizer, Jacques, who shows her the attention she never receives from Homer. Marge bowls every night, leaving Homer alone with the kids, and begins to enjoy Jacques company. Homer suspects something is ot right, but is unable to tell Marge how he feels. Jacques asks Marge to meet him at his apartment, and she accepts. Before walking out the door for work, Homer tries to tell Marge how much he appreciates and needs her, but cannot find the right words. 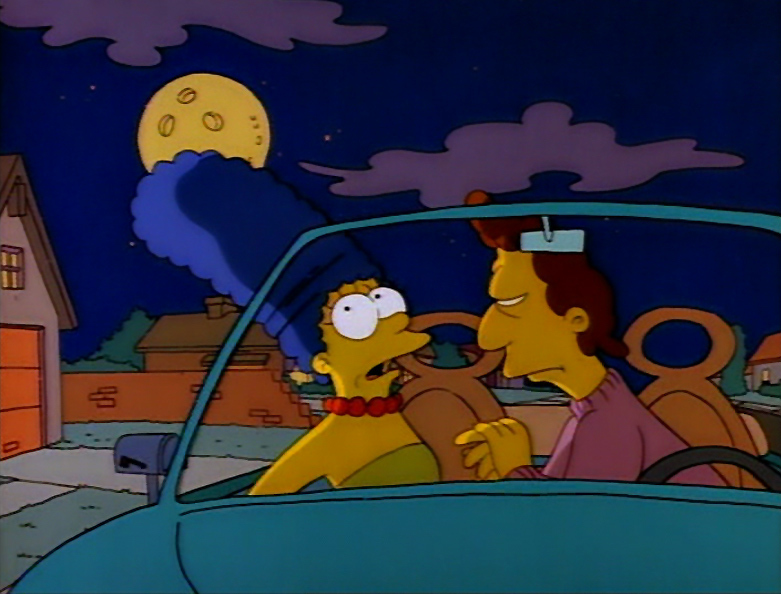 On her way to Jacques' apartment, Marge has second thoughts. She encounters a fork in the road. 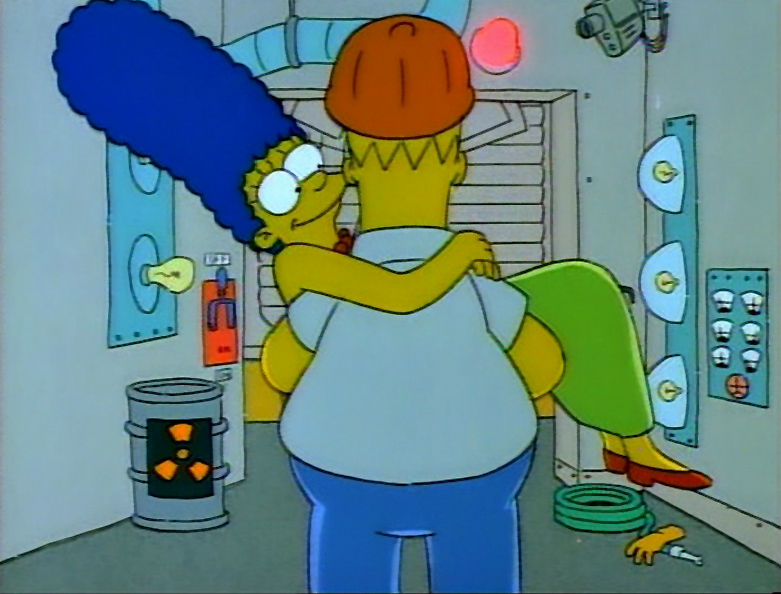 One path leads to Jacques, the other to the nuclear power plant where Homer works. Marge takes the road to the plant. An overjoyed Homer lifts his wife into his arms, and leaves to make love to Marge in his car.